Finally decided it was time to experience 60+ fps. So I moved on from my Xbox 360 to the PC Master Race, and created this baby. It is by no means the "best build" for money spent, and that's ok. It was a learning experience throughout and I can say there are few things I would change if I could do it all again. CPU: AMD FX-6300, tried and true man. 6 cores and plenty of speed for next to nothing? Shut up and take my money! In all seriousness though this process is more than sufficient for what I do. This PC was built for gaming and multitasking, playing AC4 while watching a stream, etc. AMD FX-8320. Finally got some more money together, sold my FX-6300 and upgraded to an 8320. There's really no difference between the 8320 and the 8350 other than clock speed and price, and I can overclock it to match an 8350 anyway. Just installed it so I haven't yet begun to overclock it. 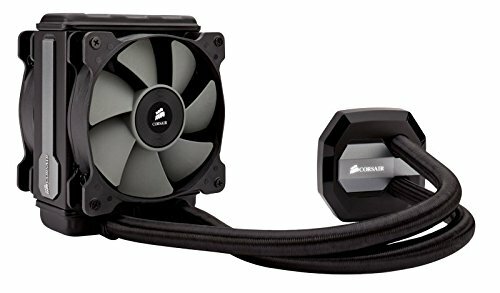 CPU Cooler: Cooler Master 212 Plus, simple, cheap, fairly quiet. 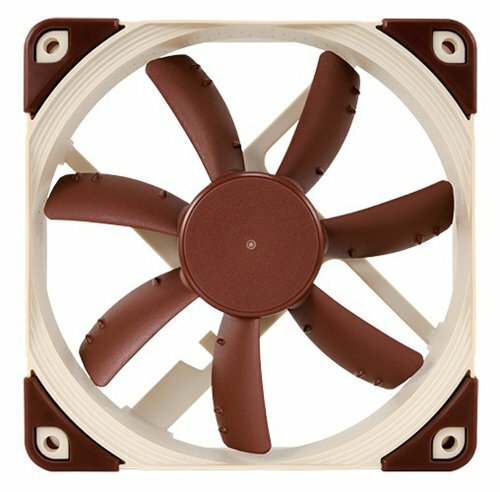 Cooler Master Seidon 120V. Originally purchased for my Briefcase build I am working on, I found it overkill for that idea and more well suited for this. Motherboard: ASRock 970 Extreme3 R2.0, just a motherboard. Part of the learning experience, I didn't want to spend big money on a Z97 or other expensive gaming boards, and this was all black leaving for a good base for colour combinations. Memory: G.Skill Ripjaws X Series 8GB (2x4GB) DDR3-1600, highly rated and not too pricy, nuff said. Kingston SSDNow V300 Series 240GB SSD - Cheap, SSD, 240GB. Holds my OS and programs. Seagate Barracuda 500GB - Came from an old computer. Used to hold steam. 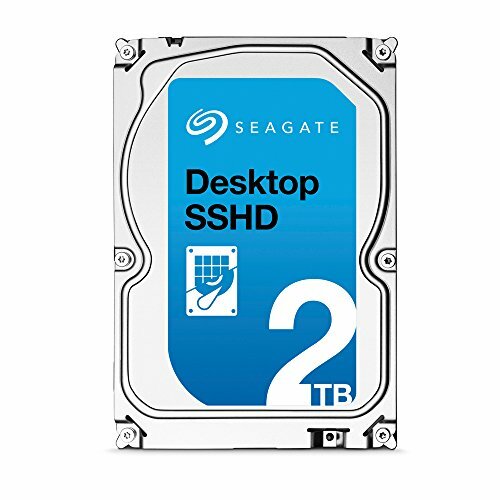 Seagate 2TB SSHD - Currently holding steam. Bought on sale, has an SSD partition, making it useful for holding my steam repository. 2x Sapphire Radeon R9 270x 2GB (CrossfireX) found on kijiji for $240, sold my MSI R9 270x to a friend for $120, getting me these two cards for effectively $120. Runs my games at a consistent Ultra quality (~70fps for Bioshock Infinite Ultra). Took some time to set up the crossfire but so far impressed. * The 74 degree GPU temp is for the main card, which is the top one. It is hotter due to drawing hot air in from the bottom card. The bottom card also runs an 1070MHz at around 64 degrees. After lots of fiddling and trying to achieve the performance of an R9 290 with 2 R9 270x's, I decided to bite the bullet and just buy the R9 290. It seems that my motherboard was the cause of most of my problems, but it was easier to get a new card than to buy a new motherboard. So I went with a Gigabyte R9 290 Windforce, 4GB. 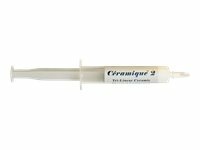 Much easier to use compared to the constant fiddling and inconsistency of the Crossifire. Able to easily run most games on High-Ultra with stock OC'ing. NZXT S340 (Black) This case is amazing, no question about it. The cable management is beautiful, there is tons of space within, hard drives are hidden, SSD's are shown off, it is a wonderful case. Nope. Ended up being short ~70 watts when I went to the Crossfire GPU's. Thus I picked up an EVGA 850 B2. Nice cables, all braided, 140mm fan, nice packaging and Velcro zip ties. OS: Win 10, upgraded from the Windows 8.1 that was on there, currently running no issues. 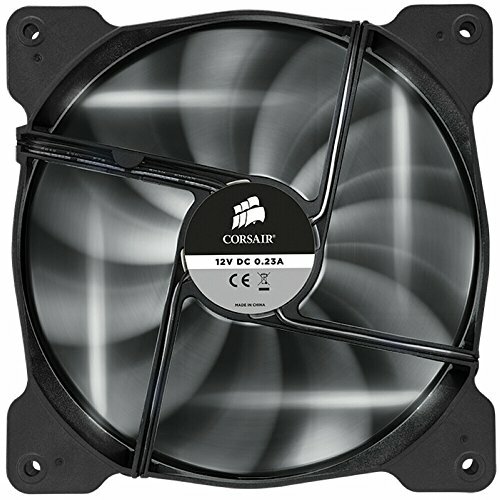 Corsair Air Series SP 120 - added a second PWM fan to the radiator. The BitFenix fan is now against the case, behind the radiator, and the SP 120 is in front of the radiator. Both are blowing out of the case. 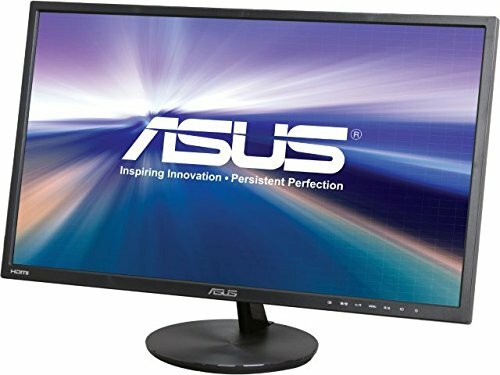 Monitor: Asus VN248H-P 24" IPS, bought on sale for a christmas gift, didn't actually have to pay the cost. A really nice monitor, clear, nice packaging and it helps that it is an IPS. 1920x1080, built in speakers etc. Did not know how nice a mechanical keyboard was, mistake to buy it. No problems with the keyboard, but I don't have any use for the macro buttons and I prefer a mechanical keyboard. Azio MGK1, sounds like the name of a badass robot. White LED backlight, Kailh Blue keys, meh, but it has an aluminum faceplate , the palmrest is plastic not rubber coated, but it has very grippy feet and a nice LED glow. Slight gripe is that the switches seem to have a higher than average resistance, something like 60+g's to depress. It will take some getting used to. 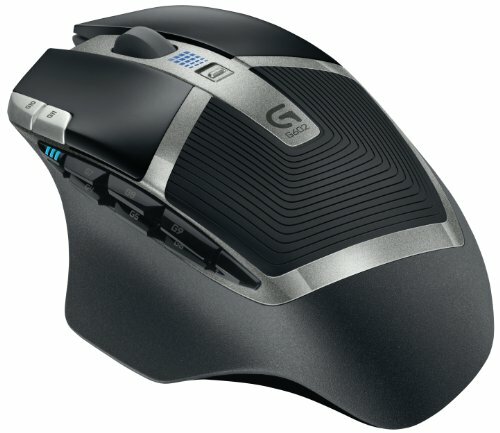 Mouse: Perixx MX-2000B, good mouse for the price. Comes with adjustable weights if you're about that life, and you can set multiple DPI's up to 6000+, and change the colour of the backlight, or have it RGB cycle. 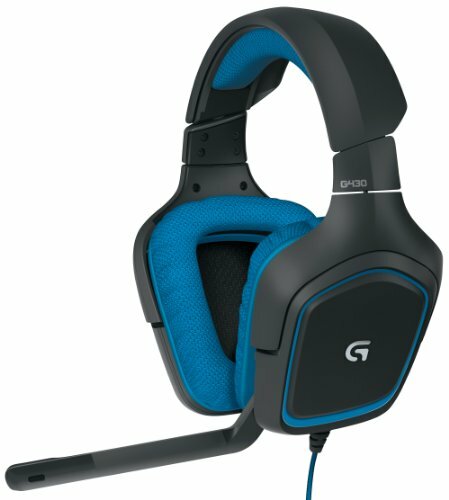 Headset: Logitech G430, upgraded from my Turtle Beach X12's from the Xbox days, as those were hurting my ears during long sessions. This headset, while it may feel fragile, is a very good piece of equipment. The surround sound quality is amazing, the microphone works well, well enough that I don't need my Snowball ICe at the moment. Other stuffs: Deepcool RGB colour LED, purchased to light up my PC, really nice kit. 2 strips ~30cm long, runs off of your Molex connector, comes with a remote. Remote picture shows all the different colour combinations. "Fade" is the only mode that will cycle through all the colours. Cheap, and it's working. I think. Idk, my CPU is still alive so I guess it must be working. This is a very nice drive, handy with the SSD cache, and 2TB holds all of my games and my Steam library. Would highly recommend, especially considering the minute price increase from a standard 2TB drive. Love, love, love this case. The detail that went into it, the cable management options, the hidden hard drives yet exposed SSD's, the room inside for larger cards, the fan options. All go together with a well made case. Supplies plenty of power for my build, and the cable design and braiding is very nice. Currently running Windows 10 Pro, no price as it was an upgrade from Windows 8.1, which was part of another build. No real issues to speak of, I know a lot of people have had problems upgrading but mine went without a hitch. This fan sits at the top of my case pulling air out through the top. No issues or problems with it. White led's are a nice touch. A very nice monitor, 1080p, IPS display, good packaging and a quality piece of hardware. I would recommend this keyboard, the packaging is very nice, the Kailh Blue switches take a bit to get used to, they are clicky, and seem to have a little more resistance than average, but it has a very nice feel, the size is good, the palm rest helps a lot and it has nice lighting. The palm rest is plastic, it's not rubber or rubberized or anything. Just got these recently as an upgrade from my Turtle Beach X12's. They do feel fragile and a little flimsy, but the sound quality is great, the software is easy to use, it can be used in surround sound more or normal mode like headphones, the mic is clear and people are able to hear me with it. Would recommend. Way, way WAAAYY more bass than one needs in a bedroom, this is a 5 point surround sound system with a 10" sub woofer. And I love it. Got it free as a Christmas present. man, im jealous. i have the same cpu and motherboard, and i hit 4.3 before i blue screen. :( whats your vcore on that cpu? welp, i tried your settings in the bios. guess my chip just doesnt like it, and im not taking my chip to go over 1.4 on the vcore :( thanks anyway! Wow, great computer! I like the lighting. I have the 6300 and was wanting to move up to the 4690k. I'm not a pro but I wonder is it woth the money for the upgrade? I do mainly gaming 1080p max setting. Also, I thought I was the only one.....My desk looks very similar to yours, as long as the mouse pad and keyboard fit! Not a pro either, I would like to upgrade the CPU to and 8350 and motherboard to a 990FX chipset. I think AMD are a little better for <1440p gaming vs Intel. It is worth the extra money. Your fx 6300 is in most intensive games bottlenecking your gpu which means that your gpu is not able to perform at its rated performance level. With the 4690k, there will be none of that. You'll see that in most games, the 4770k, which performs the same in games as the 4690k,is better than the fx 8350 in most games by something like 10 fps and thats at 4k. What video cards they use does not matter since its the same for both cpus. 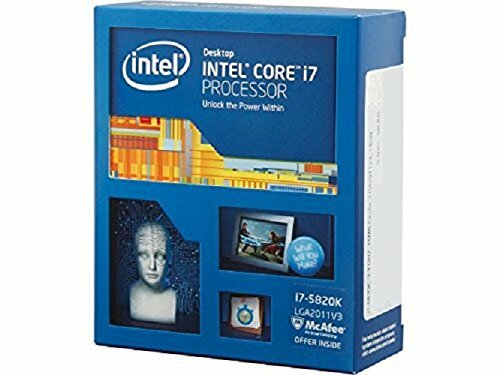 List me one Intel cpu that is better than AMD fx-8350 wich cost around the same. Good luck with that. And i dont see why people are comparing single core performance , todays programs/games are using more cores than single. Why dont we just making single core cpu's with the best of the best single core performance? Beacuse it is stupid, so it is comparing single core performance. Can you show me actual proof of that? I feel that we shouldn't talk about that here. What a mess... Your desk that is. The PC is awesome nice job! You should put some benchmarks up! Definitely something to look into. I agree, I love the case, it is such a dream to work with. Nicely done on your own build as well! I like the crossfire sapphire R9 270x. I have crossfire sapphire vapor-x R9 270x 2gb and they rock any game on ultra except when more than 2gb vram memory is needed. I play evolve and have to set on medium settings because any higher video settings require more than 2gb vram and the performance is poor. I've been thinking about trading up to the dual-x r9 270x 4gb. How do you like the dual-dual-x? Are the fans loud? you should run firestrike and post the results. What kind of settings do you use for the crossfire? I've toying with it and sometimes still find myself losing frames on something as simple as Borderlands 2. I just turn crossfire on. I haven't played with the AMD settings at all. I change settings from ultra to high, etc in games. Download GPU-z, open it and set it to monitor the vram. See how much vram your games take up on ultra settings. If GPU-z shows any games at 1.9 gb then turn down the game settings some (to < 1.850). The only limitation I've come across is the vram. Otherwise my crossfire rips any game on ultra. I only play at 1080p. Also I have my side fan pushing air out instead of bringing air in. It brings down the gpu temperatures some. Ok i'll look into that, thanks. That's a beautiful build. I really hope you don't have problems with crossfire, as x16x16 isn't available on 970 chipset boards (AFAIK). I have r9 270s in Crossfire which work great with games such as Tomb Raider (99% on both cards), but on BF4 which is a CPU destroyer, my cards only manage to get 60-70%. I've learnt this has to do with the motherboard and how it supplies the power to it. Hopefully you won't have the same problem as me, though! I appropriate your build, and congracs, but i am damn sure that you may feel bottlenecks, why did you choose Dual r9 270x with a FX6300, you would have gone for a GTX970(Available at same price of dual r9 270x) and FX6300 isn't that powerful that we all think, although at 7k its a bang, but going over 280x for a FX6300 will be bottlenecking, you could have got better performance with a FX6300 with a GTX970, infact of some bottlenecks, but you may got better performance, then too, it's all right, you'll enjoy the performance of your Setup too, so don't be burdened and be Happy on your new RIG. I began building this before the 970 was a thing. I had this since, and I got the 2 cards for dirt cheap so ye. I would love a 970 and a better cpu but I don't wanna put a whole lot more money into it if i'm not gonna get much performance gain. Any ideas on good settings for a crossfire build? Having an fx 6300@4,7 with a 290x and I am happy as a mofo. I do not feel bottlenecked at all. BF4 64player all the time every day. Dual 270x in CF can keep up with a 290x in terms of raw performance. Can you give me a link to where to get it? Thanks, well that seems interesting. In gpu performance you are on par with my 290x. Is your CPU OC Stable? @4,5 because it seems like you are getting a way worse physics result(CPU TEST) than me@4,7 (200mhz should be no big difference) Maybe it is just the 16x4x CF, but you should be able to get at least a bit higher Physics score for your OC If you have the time try running cinebench 15, you should be getting around 535 points on the cpu I am getting 550 due to the slightly higherOC. Pump seems to be good, not loud at all. Changed out the original fan, found it to buzz at higher RPM's. Agree with the CPU, its a hell of a lot of power for what it doesn't cost. Is it just me or is that keyboard a completer Cosair K70 rip off?... Looks similar but much cheaper. Not really sure, looks similar yeah. But it's a nice keyboard regardless, I'd recommend it. What setup pictures would you like? There ya go, desk is a complete mess but when you build 2 pc's **** happens. yes, take some new pics with the window OPEN. It would be sooooo much visable than the glare you are getting on most of the install pics. Only the first picture had the door on. I don't really like seagate hard drives. I got some seagate hard drives in the past that broke down in 6 months. So I just went to Western Digital to get my hard drives. That's really my only criticism. Can you give me a link of the leds? I'm sure something similar can be found on Newegg as well. This is similar to a build i'd like to save up for, have you had a go at video/photo editing/streaming or recording as that's something i'd like to do on top of gaming. Also what are your CPU temps like with that cooler? Haven't done any streaming/editing/recording etc yet. There are better cards for that purpose if going that route. Thanks everyone for all the likes and comments, and for pushing me up to the Featured Build this week! How does the 270x crossfire go? Like I said, not the best build for the money, this has been a work in the making and would be quite different if i could start over with the same money. Time to do that upgrade to Windows 10? Or are you just going to wait until its stable. Windows 10 Tech Preview is all free, and its just like installing a windows update. No personal files changed or lost, just new interface! Love it! What do you think of this motherboard, do you like it? How did you find OCing on it? Took a little fiddling in the BIOS, I've never OC'd before but so far it's been stable. What Led system is that? How would this case do Crossfire R7 260x's? Would I still need all those fans? Also, how did you get a free copy of Windows 8.1? 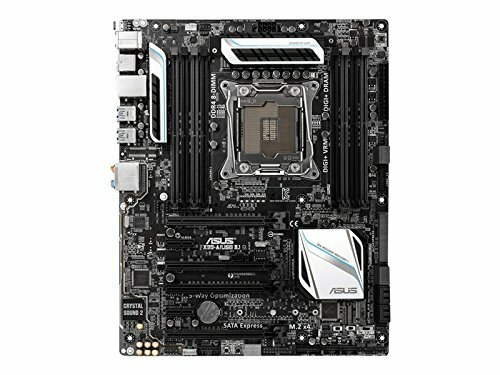 How good is the motherboard with overclocking? I have the same one and I was thinking of overclocking my CPU. Nice build. I also love the NZXT case. It would look better if you didn't have so much clutter on/around your desk tho. That would drive me nuts. Am I too late to say hi? 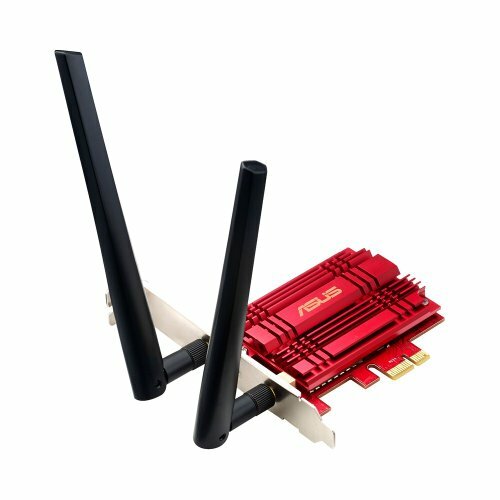 I've had no issues with power, and thats swapping between 270x crossfire, 290 etc.